The WWE has made a big signing with Walter (Walter Hahn) signing with the company and expected to work for the NXT UK brand, with the news broken by Mike Johnson at PWinsider.com. Earlier this year, Dave Meltzer of the Wrestling Observer Newsletter has reported that the WWE was attempting to sign Walter and talks had reopened in September. Privately, I had heard this as likely a few weeks back with the key being that Walter would still be based in the UK as the NXT UK brand makes a lot of sense for him. Walter is also the head trainer at the wXw Wrestling Academy, which has a relationship with the WWE and would assume it’s a role he could continue while working for the NXT UK brand. Specifics of are the contract are not known and what restrictions may be placed on Walter, who would make sense to be one of the top stars that the NXT UK show is built around. Walter is 31-years old and wrestling since November 2005 after being trained by Michael Kovac, Tatsuhito Takaiwa, and Tomohiro Ishii. 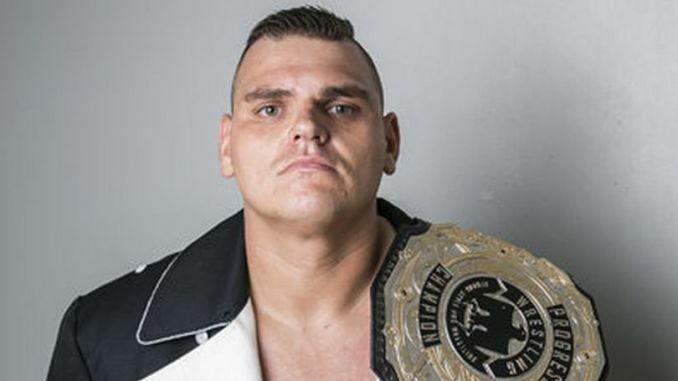 He became a big name over the past five years through his exposure from wXw, Progress Wrestling and becoming one of the biggest names in European wrestling. He started wrestling consistently in the United States during this time with EVOLVE and Pro Wrestling Guerrilla, where he just dropped the PWG title Jeff Cobb last month. Walter just wrapped a tour of Australia for World Series Wrestling and has upcoming dates with Fight Club Pro, Revolution Pro, and Defiant Wrestling over the next three weeks.